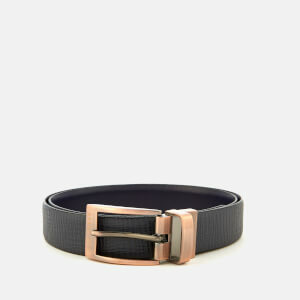 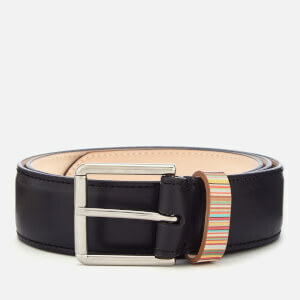 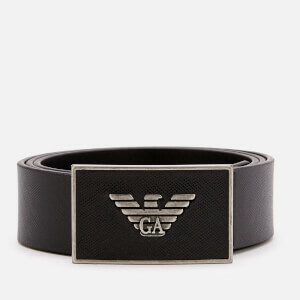 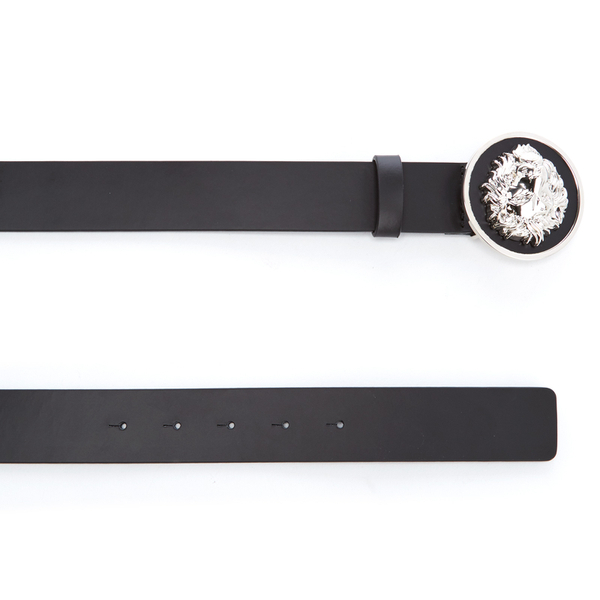 Versus Versace black leather belt. 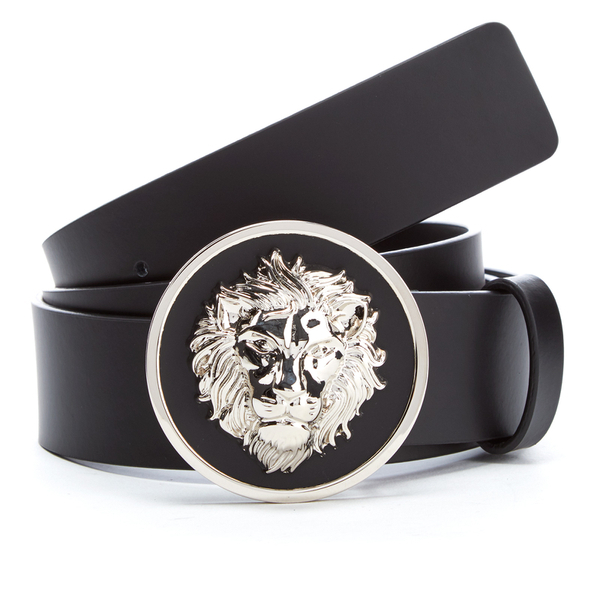 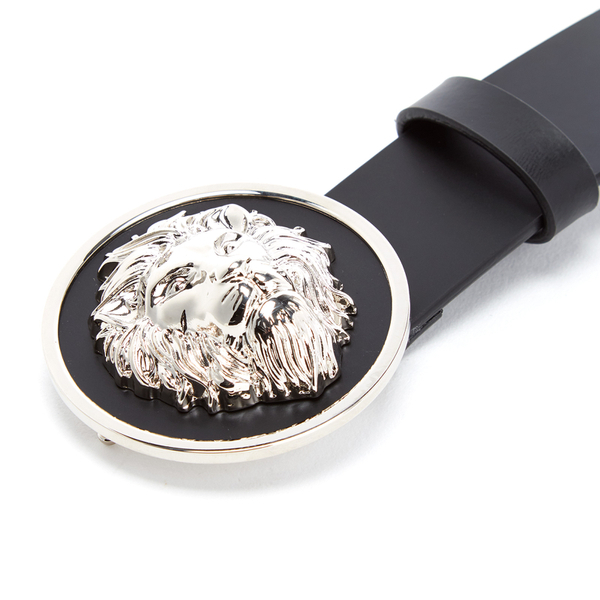 Made in Italy from smooth leather, the men’s belt is detailed with a signature silver-tone metal lion head logo buckle to the front. 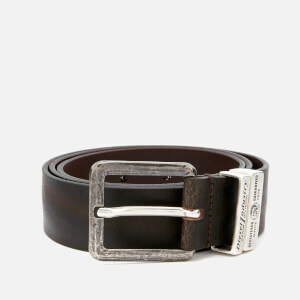 Complete with a squared end and a leather keeper.